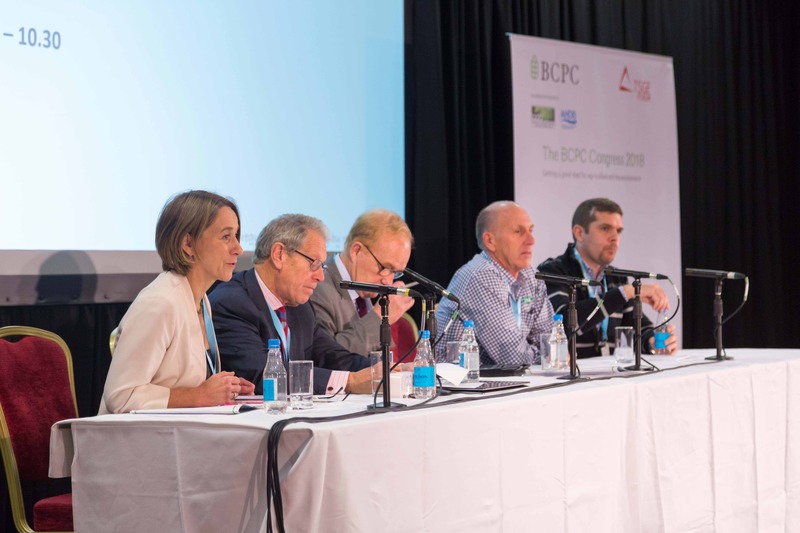 BCPC Congress anticipates the impact of Brexit on crop protection and production - BCPC British Crop Production Council : BCPC British Crop Production Council . Nick Pyke from FAR in New Zealand gave delegates a refreshing and salutary picture of changes in the country’s agricultural production and environment after the UK joined the EU back in 1973. The phasing out of subsidies, and the need to increase profitability – focusing on $/ha/day earned – immediately challenged the agricultural industry. Nick’s recommendation to the UK was to be prepared for transformational change from Brexit – and not to “waste a good crisis”. Ludovic Bonin from ARVALIS delivered clear messages about the impact of France’s political decision to ban glyphosate by 2020. He emphasised that glyphosate is an essential tool for facilitating crop rotations, with all the benefits that they bring. Alternatives to this herbicide are both ineffective and unworkable. A ban will cost the French economy 1Billion Euros – and drive a huge increase on CO2 emissions. Henry Dieudonné-Demaria of the Natural Capital Committee outlined elements in the forthcoming Environment Bill designed to deliver a ‘Green’ Brexit, with Defra’s commitments to transform the rural environment, improve nature and the rural landscape, to educate and improve health and life chances. As part of the 25 Year Environment Plan, Defra is launching a ‘2019 – Year of Green Action’ campaign to engage young people with the environment. The Bill will contain the objective “to protect crops, whilst reducing the environmental impact of pesticides” – and of course this raised the question of how adequate protection will be delivered and measured – and how proposed environmental actions will be balanced with food production. Dave Bench of HSE gave valuable insights on how agrochemical regulation might look in both ‘Deal’ and ‘No Deal’ scenarios. With any Deal, common rules and EU law will initially continue to apply to the UK. A Future Economic Partnership would then be established, including alignment with the EU regulations on goods, including agri-food inputs and outputs. In a No Deal situation, EU Regulations would be converted into UK law, with deficiencies addressed by Statutory Instruments to ensure that the regulations could operate in the UK as a whole. Product approvals would retain their current expiry dates – and Dave confirmed CRD’s aspiration to streamline the current Approvals process. Chris Hartfield, NFU, gave a vision of a post-Brexit future for UK crop production. He emphasised that EU exit is a great opportunity for the UK to have less precautionary policies and adopt a science-based risk analysis. The UK could then become a unique test-bed for agricultural innovation and new technology, with approvals granted ahead of the rest of the EU.